There is nothing worse than poor weather conditions, especially when you are planning on moving your home. This process becomes even more difficult if you’re relocating to a much farther distance and the weather becomes progressively more extreme. Forbes Magazine recently reported that the accident rate increases under two conditions – during bad weather and during the evening hours. Packing up your house and relocating can easily occur during these conditions, putting not only you at risk, but also your belongings. To mitigate damage to your items and harm to yourself, there are always a number of precautions that you can and should take. Packing and relocating takes up a lot of time, effort, and energy. However, dedicating some of that time and energy into monitoring the weather during the moving process can truly save your life and your belongings. With resources like the United States Department of Commerce and The Weather Network you can accurately monitor the weather conditions. Monitoring weather conditions will help you estimate when the safest times are to get on the road and when it is best to wait. As a rule of thumb, you’ll especially want to stray away from driving with your belongings and family when the road is wet and icy, as those are the most dangerous conditions. There are two ways that you can relocate – move everything yourself, or utilize a professional service. Out of these two options, professional services are the safer bet, as professionals are fully aware and experienced with moving your belongings during nearly any weather condition. In addition to this, Man and His Van suggests choosing a moving company that utilizes watertight trucks. These trucks are designed to keep your items, dry, safe, and packed well so that they are not affected by water damage that can occur during poor weather conditions. Driving with your belongings during the moving process in bad weather is one thing, but doing so with a car that is in poor condition too is a recipe for disaster. When you move, you want to ensure that everything goes as smoothly and trouble free as possible that you and your items are safe. One consideration that you absolutely must make is to check your car before you embark on your moving journey. The AA recommends checking your coolant, lights, windscreen, door seals, tires, and car battery. In addition, when you place your belongings in your car, make sure to wrap them with bubble wrap and cover your seats with either towels or a large blanket so they do not ruin the upholstery. Finally, your moving process can be weighed down by many things, one of which is the winter chills. Getting sick when on a big move can delay the process, leave you with little energy to pack, and even prevent you from unpacking after your items arrive in your new home. Therefore, make sure to keep healthy by taking cold medicine, drinking a lot of vitamin C to boost your immune system, and dressing warmly. These tips are bound to keep you healthy, happy, productive, and protected. The moving process doesn’t need to be difficult and damaging to you and your belongings when you are moving in winter. By monitoring the weather, waterproofing your items, preparing your car for the winter, and keeping yourself healthy you can ensure that the moving process moves along like it should in a safe and easy manner. Getting the right price on a storage unit comes with knowing exactly what you want. The prices for storage units will vary from company to company, and from location to type and back to location. You will be able to take advantage of the amount of choice that is on offer throughout the country by simply assessing the options and ensuring that you know what you need. Armed with this knowledge, you can call a few storage places and ensure that you find a decent quote before perhaps haggling it down! First off, you need to be aware of the space that you need. This is the most important part, and the reason that you are getting the space in the first place. You will find that it is rarely possible to actually measure all of the items that you are moving in to storage until the last minute before you do so, which will usually be too late. Have a look around your home, and think about which room seems to be the perfect size for your storage unit, or at least which section of a room would be right, and measure the length, height and width of the room. Multiply these numbers and you will have the volume of the area, which you can use to work out what kind of room you need at the storage facility, simply by looking at the dimensions. Be aware of the fact that you need to use a van of some sort to get things to the unit in the first place, so have a think as to whether your items are going to fit in to that, and if you are confident that they will, then you can use the measurements for the van as a basis for the type of unit that you want. Not much has been said about getting a good price yet, but the size of the unit will dictate how much you have to spend. If you are storing a lot of stuff, it is well worth having a look at the items themselves. Do you really need to store everything there? It may well be that you are getting rid of things in order to make space in your house, and if this is the case, then It may make more sense to throw some things away, rather than allowing them to clutter up your life! Give the storage places a call and find out their best prices for the size of room that you want, and you should find that you get a range of prices. You will need to look in to crate storage, and mobile storage to ensure that you are visiting all of the options available to you, as otherwise you can easily miss out on some serious deals! You will no doubt understand that you can then use the information that you have learned to attempt to haggle the price down, especially with smaller vendors. Finding a smaller storage company can be a great thing, as they will be much more flexible than the multinational companies, and will want to get your business away from them. Allowing them imply to know how much less you were offered in other places will hopefully get them moving on giving you a much better deal. You may need to find some room to store your belongings when you are decorating or moving house or office. Whether it is for office equipment, electronics, furniture or stock or home contents renting storage space can help in all of these situations. Moving house or work premises are big jobs and you can find yourself with a lot of surplus stuff that you want to keep but probably won’t have sufficient room for. Hiring extra storage can make all the difference. A lot of people find themselves with just too much clutter and though you can have a clear out and sell, donate or dump some of it there is always things you will want to keep. It means that your belongings are safe and secure for a time length to suit you. Nowadays there are solutions to a lot of problems and one of them is storage. Whether you are a business and either moving to a bigger or smaller work place, you may need to find some spare room for stock or furniture. You may be moving house and need temporary storage until your new home is ready. Or you may be renovating your house and need to empty the contents to have the work completed. Are you intending to move abroad for a while and need to place your belongings into secure storage? There are endless reasons why you may need to hire some extra storage space. But, whatever your reason you will find a result to storing your possessions. If you decide you need to rent a storage room, you will have to research companies in your area. There will be a good choice of options available to you. 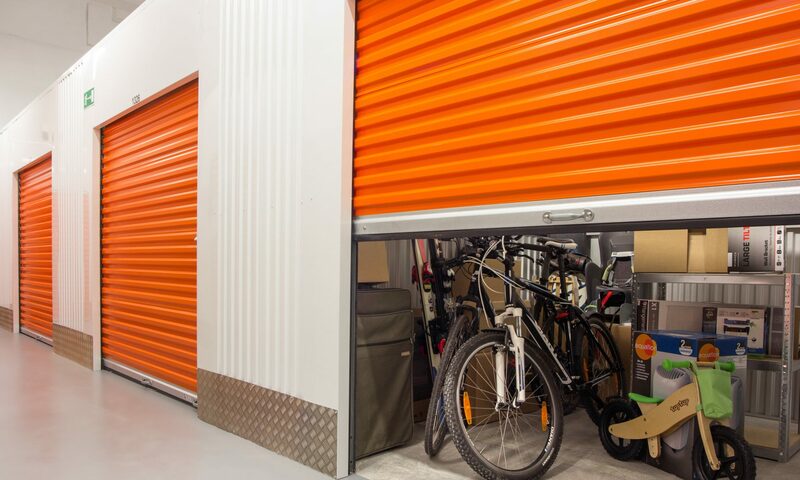 Storage units are well kept and clean and located in safe environments with round the clock surveillance. Other safety measures will be electronic gated facilities, alarms and intercom. There will be a choice of security levels which depends on what you storing. Usually there is parking to make loading and unloading easier and convenient. A site manager is usually on hand. You will have the advantage of accessing the room when you want, or check with your company for any specific times you can enter the unit. You may have to provide the details of who will be entering the unit for safety measures and if it changes you will have to inform the company and show identity. Storage rooms are available in different sizes so it is a good idea to have a good idea of the amount you want to store. Request a meeting to ask for a more accurate quote and measurement of your goods. This enables you to book a storage unit to suit your requirements and saves you wasting money of surplus space you don’t need. You can choose short or long term time lengths to store your possessions. There will be the opportunity to choose a room that is climate controlled if you have belongings that need to be stored a specific temperature. You can discuss your requests with the company who will supply all the advice and information and what you can and can’t store with them. You can check smaller details with storage companies such as other services on offer such as help with packing and loading the units. In addition you will have the option to purchase extra insurance cover from the company for your peace of mind. Moving to a brand new city isn’t easy, but for many people, it can open up a world of opportunities. Perhaps your passion lives elsewhere, or you’re stuck in a dead end job and have always dreamed of moving somewhere warmer and starting your own business. Maybe you live in Bismarck, North Dakota and you’d rather spend your weekends surfing, or you’ve always lived in the same place and just want to experience something different. Whatever the reason, these up-and-coming cities may be destinations that you haven’t considered, but just might be ideal. Portland has a reputation as a dreary, rainy city, but the reality is there is less rain on average annually than what you’ll find in New York City. Winters are a lot milder compared to many other areas of the country, and summers are idyllic. Save your winter gear for trips to the nearby Cascades and buy a rain jacket that will allow you to enjoy the great outdoors almost all year long. In September 2013, job growth was predicted to accelerate throughout the state of Oregon, adding nearly 32,000 jobs in 2013 and almost 37,000 in 2014, with the majority of job growth concentrated in the Portland metro area. Your dollar will go further here too, as you can enjoy shopping without any sales tax in this state. If you enjoy sipping micro-brews, Portland boasts more breweries per capita than any other city in the nation, with more than 70 in the metro area. It’s also an outdoor enthusiasts’ paradise with easy access to the spectacular Oregon coast and beach towns like Seaside, which is popular for ocean surfing. The Columbia River, which draws windsurfers from across the globe, is just minutes away, while Mount Hood is known for hiking as well as winter sports like skiing and snowboarding. If you’re looking for a sunny, dry climate, Albuquerque might just fit the bill. The city enjoys an average of 310 days of sunshine, as well as relatively mild winters. In the wintertime, you can go skiing on Sandia Peak, just minutes from downtown, and play a round of golf the same day. For those in the high tech industry, the city boasts more high tech jobs per capita compared to any other in the U.S. with the exception of Silicon Valley. If you’d rather start your own business, the Business Journal ranked it as one of the top cities in the country for small business. With spectacular scenic views, including the Sandia Mountains rising up along the eastern side of the city and the beautiful Rio Grande to the west, you may want to add a sun room or picture windows to your new home from which to take it all in. Boulder has long been known as a top destination for outdoor lovers, but it’s also become a hub for tech startups; in fact, a 2013 study named it number one in the nation for startups, even over the Silicon Valley area of California. This beautiful city with a population of just over 100,000, sits against a backdrop of the Flatirons Mountain Range and has frequently been rated as one of the happiest and healthiest in the country, too. In 2013, it fell in at number two, partially due to the healthy lifestyle of residents, made easier with the opportunity for numerous outdoor activities like hiking and biking. As one of America’s top biking cities, it can even boast the second-highest percentage of bike commuters in the nation. If you don’t have one already, consider investing in a good bike and saving on the all of the costs related to commuting via a motorized vehicle. While you may think winters here would be miserable, Boulder actually has a high desert climate with moderate temperatures and an average of 300 days of sunshine each year.